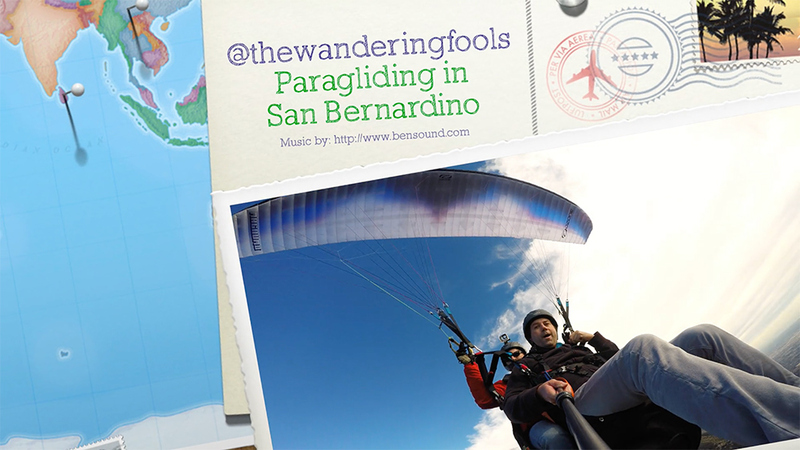 When friends are in town, I offer to take them up for a tandem paragliding flight. A longtime friend of mine was visiting from Canada and jumped at the chance. So we headed out to San Bernardino and soared around for a good 45 min. The weather was decent for the time of year, but we were not able to get much over a thousand feet above launch. Still a fun day! **Disclaimer: Paragliding is a dangerous sport that should only be done by qualified individuals with the proper training and licensing. If you happen to be in Southern California and want to take a tandem flight or sign up for paragliding lessons, we recommend you contact Atmosphere Paragliding.